You have trusted us to take care of your eye and hearing needs so you can completely trust us with your privacy and personal information. We are committed to the highest level of privacy standards. However you interact with us we only collect data that is necessary for us to deliver the best care and service possible, to ensure you are reminded about appointments or anything else related to your on-going care. This privacy notice provides information on when, how and why we collect your personal information, your privacy rights, how the law protects you and the very limited conditions when we may disclose it to others. In this privacy notice any reference to you is the person whose personal information we collect, use and process. 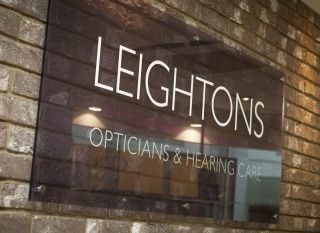 This will include anyone who contacts us in connection with the products and services we provide or who interacts with us in any other way such as our website www.leightons.co.uk or in practice. Any other information voluntarily provided by you. This information is generally collected from you as you have voluntarily provided to us. Where lawful to do so we may also collect information from other sources such as the NHS, other health care providers, from individuals authorised to provide information (e.g. parents or legal guardians), financial institutions, government, tax or law enforcement agencies. We may also collect personal information from your use of other Leightons Group websites or services. Why we collect and process your personal data and how is it used? to suggest other relevant products and services we believe would be of interest and benefit you. meeting a legitimate interest to inform you of eye and hearing health products and services which may be relevant to you. Your personal information will be retained by the Leightons Group for as long as reasonably necessary (and as defined by health, legal and tax laws and regulations) for us to continue to provide you with products and services. We are also required to maintain records for legitimate purposes e.g. to satisfy tax and other legal requirements, to help us respond to queries or for other reasons e.g. responding to requests from regulators and the NHS and to protect and defend against claims. A cookie is a small text file containing information that a website transfers to your computer's hard disk for record-keeping purposes. A cookie cannot give us access to your computer or to your personal information, and will not identify you by name. However, it will use a numeric identifier which analyses navigation and use of the website. Most web browsers automatically accept cookies; consult your browser's manual or online help if you want information on restricting or disabling the browser's handling of cookies. If you refuse or disable some or all cookies, you can still view the information on our website, but the functionality of certain areas may be reduced. The right to rectification – if you ask us to correct personal data about you that is inaccurate or incomplete, we will do so within a month (unless we need longer, in which case we will discuss this with you). It’s important to keep us up to date with your latest contact details. The right to object – if you object to us processing your data for marketing purposes, or for healthcare purposes or where our legal basis is legitimate interests (see ‘why we collect and process your personal data’, above), we will then stop doing so, unless we are processing the data in respect of a legal claim or can otherwise show that our legitimate interest in processing the data overrides your rights and interests. To ensure we can continue to provide you with excellent eye and hearing healthcare, we are required to send you ‘clinically necessary’ non-marketing material such as appointment reminders, notification when your prescription is due to expire, and when your products are available for collection. We are updating our communication services so that from May 2018 each email and SMS we send, will have a link for you to update your contact details and personal preferences for communications from us and via which method. 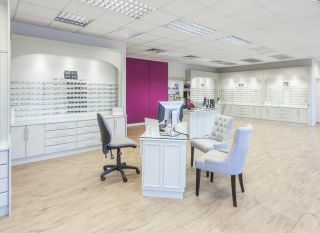 For those patients registered with MySight you can log in and book appointments, amend your contact details and your communication preferences via https://leightonsopticians.mysight.uk/Home/Welcome. Modern physical and electronic security systems are not entirely secure and we cannot guarantee the complete security of our database. The transmission of information through the internet is not completely secure. We will do our best to protect your personal data, but we cannot guarantee the security of your data transmitted to the website through the internet; any such transmission is at your own risk. Once we have received your information, we will use strict procedures and security features to prevent unauthorised access. Please speak to us first if you have any questions or concerns about the way in which we process personal data. You can contact us at: The Data Protection Manager, Leightons Holdings Limited Registered Office, Clarendon House, 63 Downing Street, Farnham, Surrey GU9 7PN or email [email protected], or by telephone: 01252 823400.